A simple, quick and cheap dessert ready in minutes. Great on its own, but even better with this delicious homemade lavender shortbread. Beat the butter, sugar and lavender together. Stir in the flour. Bring together to form a dough and knead very lightly for a couple of minutes. Place in a bowl, cover and put into the fridge for about an hour. Meanwhile make the dessert. 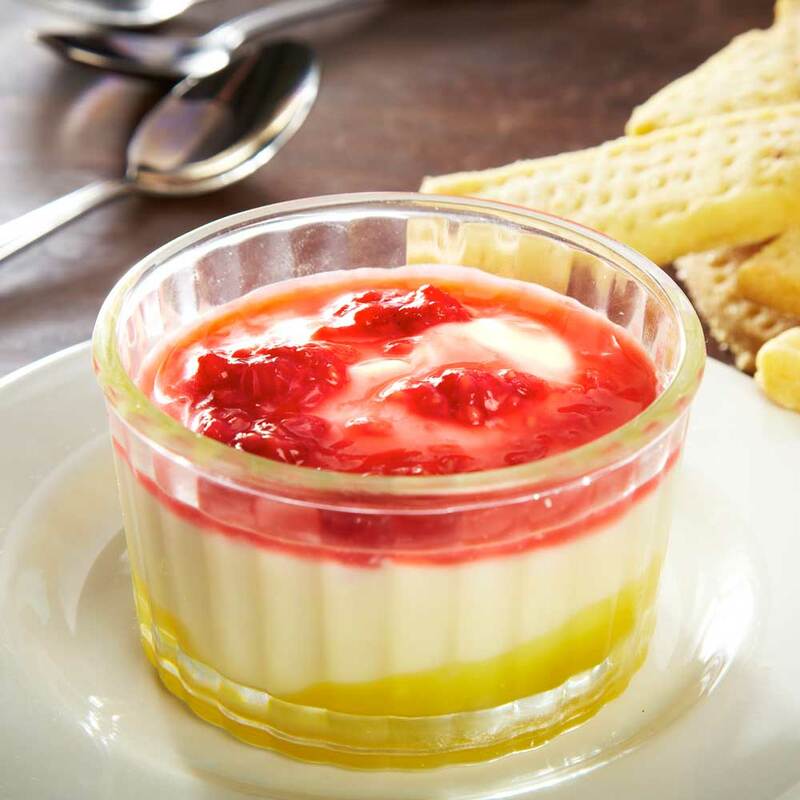 Place a small teaspoon of lemon curd into the bottom of 4-5 glasses or ramekins. Place the rest of the lemon curd into a bowl and mix in the yogurt a little at a time. Top the glasses/ramekins with the yogurt/lemon curd mix. Crush the raspberries a little and place on top. Cover and place into the fridge until needed. Preheat your oven to 170C. Remove the shortbread dough and roll out on a floured surface to about 5mm thick. Cut into biscuits (your choice of shape) and place on a baking tray lined with a baking mat or parchment paper. Prick all over with a fork and place into the oven. Cook for 20 minutes. They should be pale, but cooked through. Remove and leave to cool on the tray for 3-4 minutes. Carefully move to a cooling rack. Serve each dessert with a couple of shortbreads on the side.